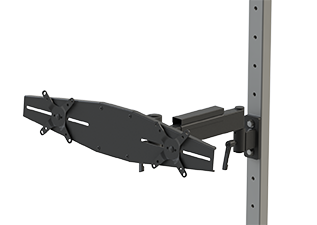 NOTE: All articulating arm mount to Solid Uprights (sold separately) and include cable covers, rotation lock and dampening system. Available in #0400 Black Wrinkle Finish only. Ideal solution to keep monitor and keyboard off of worksurface. 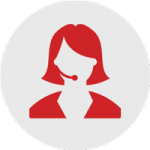 Accepts 75mm or 100mm VESA standard flat-panel monitors. 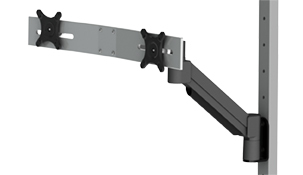 Arm extension of approximately 25″ (from mounting bracket to center of keyboard tray). Overall dimensions of keyboard tray: 8″D x 25″W. Note: Order 3590 for additional arm extension capability. 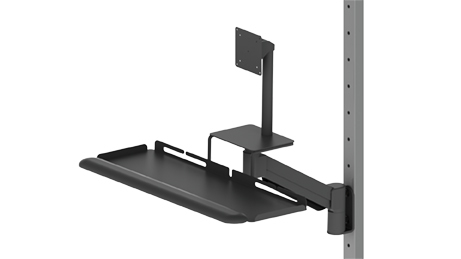 Mounted Monitor can be tilted or swiveled. 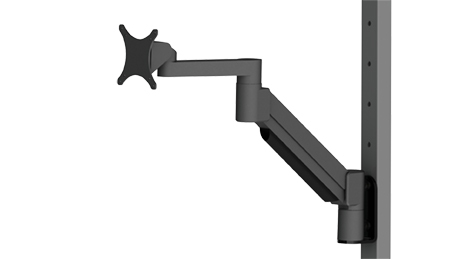 Arm extension of approximately 20″ (includes mounting and VESA brackets). 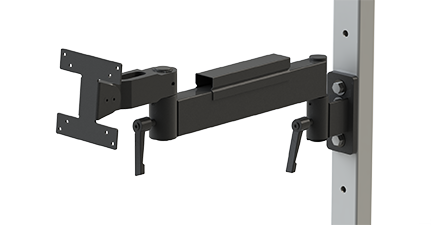 Heavy-duty swivel arm with compact design to accommodate 2 monitors. 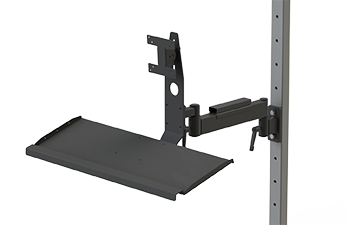 Tilt feature allows monitors to be adjusted for user comfort. Maximum screen size of 24″ to accommodate both monitors. 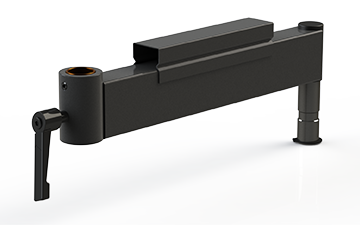 Arm section provides an additional 12″ extension. Includes cable cover and lever for locking rotation. Accepts VESA standard 75mm or 100mm flat-screen monitors. Monitor can pivot and tilt. Overall dimensions of keyboard tray: 8”D x 27”W (with wrist rest). Includes Bracket to Mount to Solid Upright (sold separately). Arm extends 24” and adjusts vertically 16”. 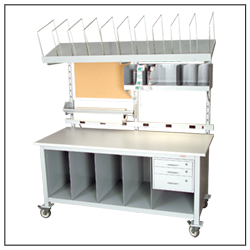 Monitors pivot and tilt as well as be stacked vertically or horizontally. Maximum screen size of 24” to accommodate both monitors.